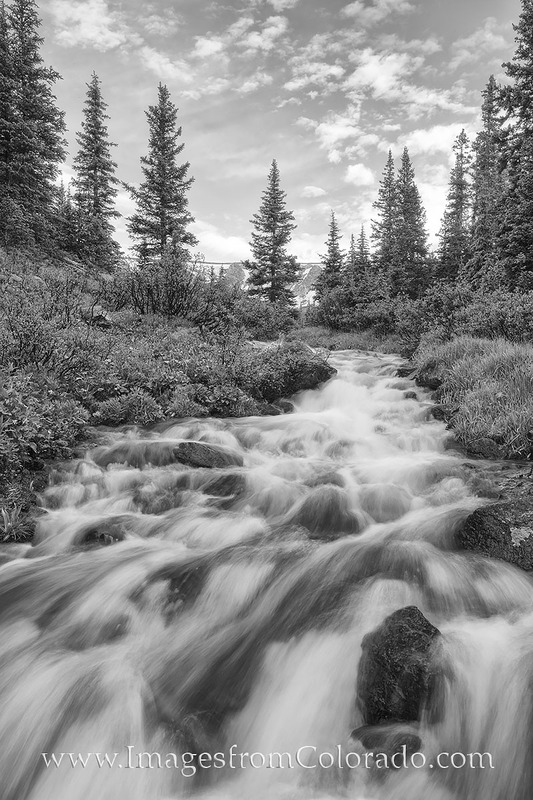 This small stream near the top of Berthoud Pass near Winter Park, Colorado, rushes with water during the melting of spring snows. The clouds were nice and it was a good morning to explore some of the higher portions of the trails in this beautiful area of the Rocky Mountains. Photo © copyright by Rob Greebon.